Rovex 10X Mono Leaders are as heavy duty as they come. 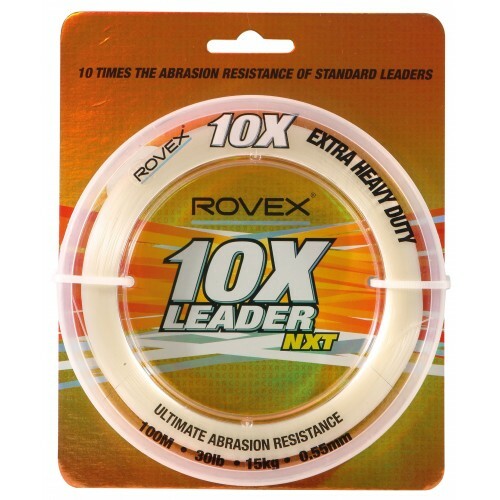 With 10 times the abrasion resistance and 10 times the quality, Rovex 10X Mono Leader Fishing Lines are just what anglers need to give the meanest fish a fight of their lives. The 10X name is much more than a name; it is a legend. 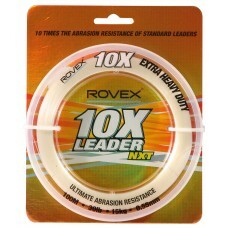 The Rovex 10 Mono Leader Fishing Lines maintain that legend by giving anglers a top-notch line that will back them up no matter what the situation. Every big game angler knows that they need a line that can withstand almost anything that the biggest fish or the harshest conditions can throw at it. No one wants their line to give up on them, especially if there is a big one on the end of it. Rovex 10X Mono Leaders have strength in abundance. Made from the extra tough monofilament leader that is way above standard monofilaments available in the market. The Rovex 10X Mono Leader is simply one of the best in the business and promises 10 times the performance of ordinary leaders.